The first two Ironman races in Regensburg and Frankfurt are behind the Raelert-Brothers - and the Ironman World Championships are ahead. They have good results in their luggage for the Ironman Hawaii – for example two european titles on the middle distance. Andy and Micha are in the training for the Ironman Hawaii on 13 October – in the interview for Raelert-Brothers.com they let us know how it is like on the "Road to Kona" at the moment. Andy and Micha - some great races are already behind you. What do you think about the first part of the season? Andy: First and foremost, we are very pleased that we were able to start both so well into the season. Unfortunately, Frankfurt was not perfect for me due to my bike crash. I slipped away on the wet road in a curve. It was a bit bad luck, but ultimately it was my fault. At the end I was grateful that I still could reach fourth place after my crash – because I’ve sustained a mild concussion, bruises and abrasions. On the other hand I had something like a perfect day at the Challenge Kraichgau, where I was able to defending my title at the ETU-Championships on the middle distance. I also had a really good start into the season with my second place at the Ironman 70.3 in St. Pölten behind Filip Ospaly. That was a really good start, because I could see what still needs to be improved. Micha: My first Ironman in Regensburg was an experience that I will never forget. I was able to take second place – and especially, I was able to be an ambassador for the project "Mike Möwenherz" and for our partner Help-for-Hope. That makes me proud. For me, the season did not start perfectly, because in my first race, the Ironman 70.3 Texas, I had a bad cold. I felt pretty bad, but I competed in the race and finished fourth – and, to be honest, I was not really satisfied. After that, Andy allowed me to follow in his footsteps at the Thomas Cook Ironman 70.3 in Alcudia, even though he was the defending champion. I hope that I’ve been a worthy representative. I won the race, but I’ve even seen a few minor things that should be improved, especially in the run. Then came the Powerbar Ironman 70.3 in Rapperswil – and it worked successfully. Micha, the Powerbar Ironman 70.3 in Rapperswil was an almost perfect race from you? Micha: That's right, in Rapperswil, it was a really good progress - especially the swimming and cycling worked out really well. And I ran the half marathon in 1:12:03 hours and was able to improve my own course record from 2010. Such a race gives you a really large motivation. 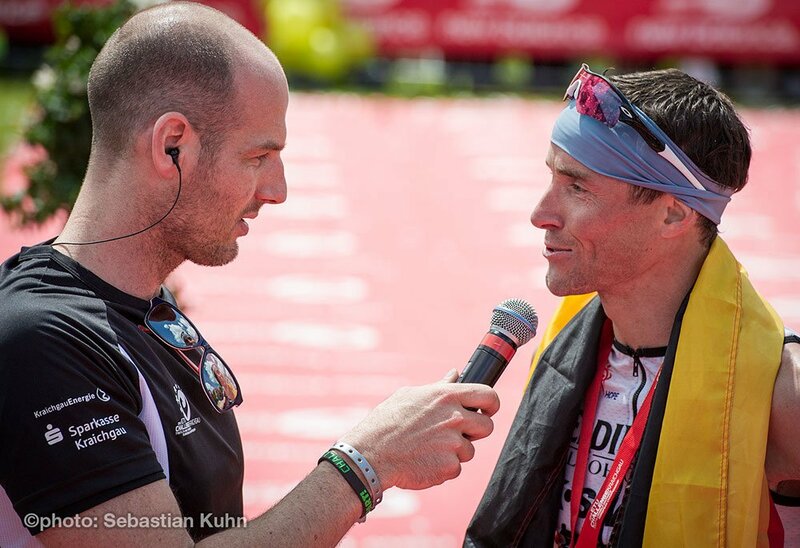 How do you look back on the racing part of the Ironman Regensburg? Micha: The race was tough. Especially mentally I was done quite a bit at the finish line. It's hard to imagine what depths you have to go through during an Ironman until you finally touch the tape. It was an incredible experience, to cross the finish line was a crazy moment that you certainly never forget. After such a long day it is just an amazing feeling – even after my little breakdown on the bike after 160 kilometers. For me it was a test race, a competition in which it was not an important matter for me to win. The project Mike Möwenherz was in the focus - for each of the 226 kilometers of the race, we will donate $ 50 to seriously ill children who are fighting even more than Andy and I in our competitions. Therefore, I am also very happy with the race. I was very nervous before and I am happy that I have reached the finish line so well. Andy, how do you analyze Michas debut on the long distance? Andy: Micha did everything right - he was supposed to give it a try in Regensburg, to find out, what it feels like to race an Ironman. He had to make this important experience. And I have to say: He did it wonderfully. He was really strong, and I am proud that he was such a good ambassador for Mike Möwenherz. The spectators along the course were cheering at him and they celebrated Micha at the finish line – this is something he will never forget. Micha, after a short race break you won the Ironman 70.3 European Championships in Wiesbaden. A perfect race for you? Micha: Above all, it was really hard, a really tough race! I was pretty much done after the race at the finish line. Before the start, I did not exactly know how good my shape is after my long break. Also, I was pretty nervous because there were a lot of strong athletes in the race. Among others there were Ivan Vasiliev from Russia and Kris Gemmell from New Zealand, two guys, which had been part of the triathlon race at the Olympics a few days before. Another strong athlete in the field was Filip Ospaly from the Czech Republic – there were a lot of pretty well known names on the list. Therefore I am incredibly happy that I was able to bring the title back into our family. Andy: I'm really proud of Micha. He has shown a strong race. He went into the race as one of the favorites and was able to stay that pressure. He won the title for the second time after 2010, while improving also the course record. It was from swimming to running a perfect show of him. Micha: After Regensburg I had a break – and now I am glad that I'm back in the race mode. The first highlight of the second half of this season was Wiesbaden – which gave me a lot of motivation. I'm looking forward to the two major highlights that are ahead: the Ironman 70.3 World Championships in Las Vegas on September 9th and the Hawaii Ironman on October 13th. I am totally excited and fired up for this race – and even nervous. 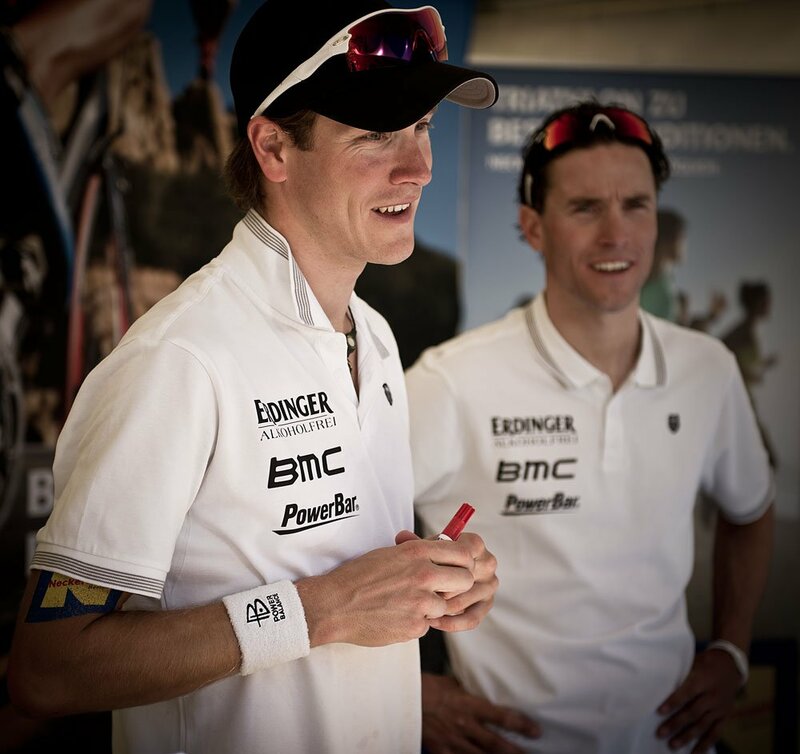 Andy: For me, the preparation for Kona is in the focus. On October 13th I want to be in my best shape – therefore I prepare as hard as I can. I will take part at Challenge Walchsee-Kaiserwinkl in Austria on September 2nd, to have a test race for Kona. And then: Kona. To fight for the victory together with Micha as the Raelert-Brothers, that's the big goal.